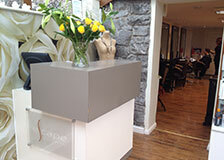 Escape is a unique unisex Hairdressers and Beauty Salon conveniently located in the village of Bleadon, Weston-super-Mare - bringing you hair and beauty services that you will not find anywhere else in the area. We have been operating for five years and with our well trained staff and years of experience, we strive to deliver quality and excellent hairdressing and beauty therapy services. Find out more about Escape Bleadon, the services we provide, the products we use and sell and how to get in contact with us. Escape Hair & Therapy Salon is situated just outside of Weston-super-Mare, approximately 4 minutes drive from Weston General Hospital. We are also close to Lympsham and Brean and have lots of easy on site parking available. For more details on how to find Escape Bleadon please visit our contact us. page. 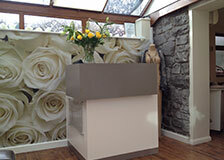 As from July 2012 we are stockist of dermalogia which we feel is the finest manufacturer of skin products in this country. 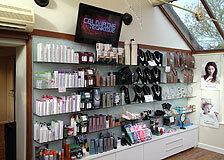 We are also offering a whole range of Facials and products.